Chaos. A panicked crowd rumbles across the screen while the young protagonist pushes against the stampede. Cut to an eerie vista of Mount Fuji at night, the sky illuminated by horrific, towering geysers of flame. The famed snowcap melts away as the peak glows an angry and ominous red-orange, like some colossal hot coal in Satan’s own furnace. This nightmarish scenario comes to you from Akira Kurosawa’s Dreams, a visionary, impressionistic, often preachy but generally spectacular 1990 film by the man better known for his immortal Samurai epics. 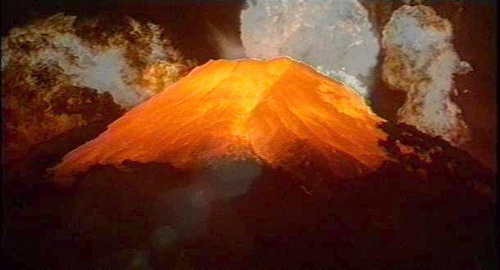 One of eight vignettes based on Kurosawa’s actual dreams, “Mount Fuji in Red” is a startling premonition of nuclear disaster. The title comes from a classic woodblock print by the early 19th-century master Hokusai, depicting Fuji at dawn in an idyllic pre-industrial landscape. Kurosawa’s vision of Fuji is decidedly less idyllic. After the apocalyptic explosions, four survivors of the nuclear holocaust (including the young protagonist who wondered if Fuji was erupting) find themselves stranded on a cliff by the sea, desperately batting away the noxious radioactive fumes and cursing man’s stupidity. Death is certain, as it is for all of us, but for them it will come prematurely on manmade clouds of poison. What can I say about Japan’s all-too-real compound nightmare — earthquake, tsunami and nuclear disaster — that hasn’t already been said? I can sing the praises of the Japanese people in the wake of their tragedy: no riots, no looting, no gangs of thugs terrorizing the ravaged streets. Guns aren’t popular playthings in Japan. The culture has fostered a deeply ingrained self-discipline and mutual respect that make American-style thuggery unthinkable. The people mourn their losses with dignity; they survive, gather themselves and persevere — as they did in the dark days after Hiroshima and Nagasaki. On the other hand, the folks who run the Japanese government and the damaged nuclear power plant have been about as helpful as the idiot light that tells you when your car has overheated. Their dithering response is, unfortunately, typical of any bureaucratic elite with an instinct for self-preservation. I don’t imagine that our own authorities would be much more helpful if a radioactive cloud were about to waft over the lower 48 states. Japan’s unfolding nuclear crisis has held center stage for a full week now: those hot radioactive fuel rods, the repeated attempts to douse them, and now the decision to bury the entire complex like a bad memory. It’s easy to forget that the most devastating stroke so far has been the 30-foot tsunami that rolled in from the sea. We watched the great wave (shades of Hokusai again) sweep away houses, cars, people and entire villages like so much flotsam. All the usual clichés spring to mind: the terrifying power of nature, the sobering fragility of our lives and works. What a puny piece of work is man! And how indispensable we like to believe we are! All our most intricate plans and contrivances can be abruptly overturned like the pieces on a chess board. Most clichés have a way of sticking in our minds, not because they’re especially elegant but because they’re true. Thinking about Japan’s calamities, I have to wonder why we waste so much time and energy on petty disputes, political and otherwise. Our “red state/blue state” divisions seem as insignificant as the eternal argument over the proper installation of toilet paper: do you pull it over or under the roll? Custom, bias and heated emotions can make us lose perspective. Do you clamor for big government or minimal government? How about a government that actually works, without bias toward one class or another? We all just want to survive, thrive and pass along something of value to the next generation before our allotted time ticks away to zero. If we can make life a little more enjoyable for our fellow citizens, so much the better. Kurosawa’s Dreams ends with a utopian idyll: “The Village of the Water Mills.” An outsider wanders into a rustic hamlet suspended in a pre-industrial time warp. The soul-soothing sound of water is everywhere: he’s entered a realm of rushing streams and wooden water-wheels rolling beneath leafy green canopies. The stranger stops to chat with an elderly man who proceeds to lecture him gently on the natural way of life. The stranger and the sage, in "The Village of the Water Mills" from Kurosawa's "Dreams"
Is it too late to hit the “reset” button, toss our troublesome technology out the window and live contentedly like the old man in the village? Of course it is. We’re eternally hooked on the idea of waiting for Version 2.0 to replace our 1.0. Not to mention the 3.0 that will eventually replace the 2.0. There’s no going back, and the notion of a simple return to nature is probably a cliché. But like most clichés, something about it rings true — as true as a deeply felt dream. InterAction.org has published a list of more than 30 charitable organizations now providing aid to victims of the Japanese earthquake/tsunami/nuclear disaster. Despite InterAction.org’s leftish-sounding slogan (“A united voice for global change”), the list includes a diverse assortment of reputable groups — with helpful background information and links for each of them. Choose your favorite group, contribute what you can, and help the brave victims of the disaster get back on their feet. ← Nudging the Hornets’ Nest: How Unjust Were Rep. Peter King’s Congressional Hearings on Homegrown Islamic Terrorism? 103 year olds are not the product of a society closely coupled to nature. For almost all of human existence life expectancy was about 1/3 of that. Personally I have found the Japanese response to the nuclear portions of this crisis appropriate in contrast to the histrionic response of the US. I live near Three Mile Island. We prepared to evacuate beyond 12 miles, but never actually did. The japanese disaster has only just recently escalated to equal TMI, yet the US is calling for a 50 mile evacuation zone. Recent testing indicates radiation levels outside of 12 miles are normal. Decades after TMI there is no evidence that anyone’s life or health was effected. Real people died as a result of the earthquake. Thousands more from the Tsunami. Even a Chernobyl level catastrophe at these nuclear planets would be small in comparison to that of nature. 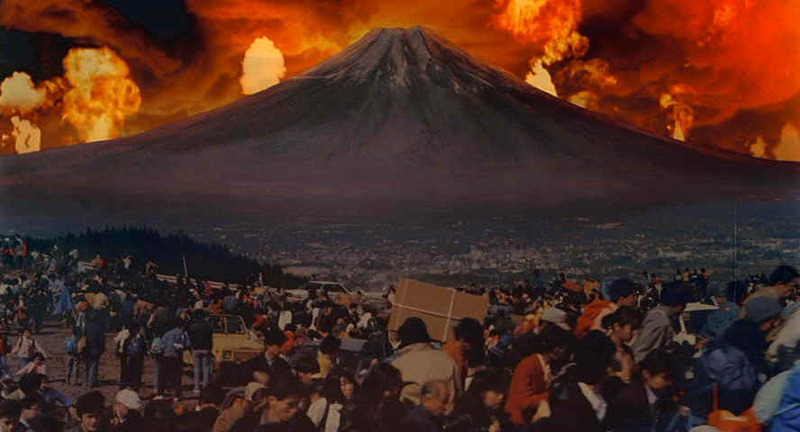 Thousands throughout Japan are still threatened – not by nuclear radiation but by injury death, disease and starvation resulting from the destruction of the infrastructure of a modern society. The media and politicians throughout the world focus on the battle occurring at a couple of nuclear plants. The Japanese seem more focused on meeting the more critical needs of their people. Granted, long lives aren’t the rule in primitive societies. But I’ve often read about isolated villages in places like Kashmir, the Caucasus and — yes — Japan where people lead simple lives and frequently reach their 90s or more. It could be genetics, but I’d also guess that living in an uncomplicated manner, in harmony with nature (and one’s inner nature), probably reduces stress and doesn’t shred away years the way our discordant and conflicted lifestyles do. 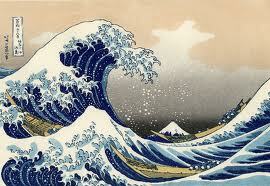 Of course, the one glitch in that theory that I neglected to mention was that the tsunami was also part of nature. As for Japan’s response to the disaster… the authorities struck me as less than forthcoming about the dangers of the nuclear explosions and radioactive materials seeping into the environment. Now they’re detecting relatively high levels of radioactivity in milk and crops within a radius of several miles (I forget exactly how many) around the plant. (With Three Mile Island, everything was safely contained within the reactor shell.) But yes, at least so far the tsunami has been responsible for thousands more deaths than the nuclear disaster. I’ve alway supported nuclear power, for one thing I am a believer in human driven climate change and nukes are one small part of the answer to that. For another thing, my training is in science and I have worked with radiation myself in the form of radionucleotides. I also had a 3 year stint as a so-called environmental engineer at my state’s Dept of Natural Resources. That taught me a lot about risk analysis and also something about wackos, usually well-meaning ones. They want to shut down my state’s one and only nuke and I have argued against it, again, climate change motivates me. Well-meaning wackos put out an awful lot of misinformation about the situation, which also gets me going. So I hate to admit it, but my opinion on nukes has been shaken. While it may well turn out in the long run that the situation will be contained with little loss of life, still, what a situation, first, a natural disaster strikes and then, as you are trying to deal with it, your power goes out and not just out but becomes a possible environmental disaster and demands resources that are urgently needed elsewhere as well. I don’t know why but I never thought of nuclear power like that previously. As a tangent to this thought, here is a link to a young woman who has a website about Chernobyl. Her father was involved somehow in monitoring it and she likes to drive her Ninja through the zone and take pictures. I was sure she was going to die, she likes to speed and the zone is devoid of humans but full of wildlife. One chipmunk, a speeding Ninja, no one around for help…. It was the disaster that happened in Japan and Chernobyl that has shaken your image about nuclear dangers? What about the fact that USA has no long term solution for its nuclear waste, currently stored on-site at various facilities around the country and especially in Nevada? That (the storage of nuclear waste) is a man-made political issue, more than an inherent one, in my opinion. Storage of nuclear waste has been halted by (un-moderate) persons who are playing the nimby system to the hilt. I both admire them for their devotion to the environment and at the same time feel sad about the scientific illiteracy that goes with it, as well as the fact that some set of environmentalists is rigidly opposed to every single realistic energy alternative and successfully halt hydro projects, wind projects, gas-drilling projects, you name it. Along the same lines, RCP today led me to a Forbes article about the Japanese nukes, scientific literacy, and risk analysis, and I had to agree with a lot of what the writer said, in fact I have put a lot of energy into saying similar things. However, the writer also conveniently ignored all the other aspects of the Japanese situation and even asked why on earth people are concerned with the Japanese nukes when 20,000+ have died from the tsunami!! The answer would be because two weeks after the quake the nukes are still in trouble and even getting worse. Conservatives only wax literate on nuclear risks because it irritates environmentalists, in my opinion. The writer also took a dig at the climate change issues and made several stupid comments that wiped out his central theme that scientific illiteracy is a shame and a problem. Climate change skeptic: a person who believes nothing that is produced by the 98% of climate scientists who support the concept of human-influenced climate change while believing every word uttered by the 2% of the scientific community that doubt climate change, even though the arguments and beliefs of the 2% often completely contradict each other. I am not sure what to think about all this nuclear stuff. It’s all clean, except when an accident happens. In this case, a Tsunami coupled with loss of power. Japanese Utility had at some point over the course of 40 years thought of the many ways an accident would happen. They just didn’t know when, where or how to organize with such a big event. As in all cases, humans try their best at things and in many cases fail before becoming successful. To say that their would never be a nuclear meltdown somewhere would be foolish. The question is how you would handle such a situation. Where would you put a Nuclear Power plant? France has around 80% nuclear power. Yet, no accidents…as of yet. I don’t know if they have earthquake faults or not, but they have a great track record over the years. “Climate Change” is an interesting wording these days. The first words spoken by media was that it was all about “Global Warming” until scientists said that the Earth was in a “cooling phase” a few years ago. Something to do with the 11 years Sun spots cycle. To note, Global Warming is a natural cycle of the Earth. This explains the temperature change of around 50 degrees between one day and the next. Yet, media and environmental extremists give us ideas that Global Warming is the thing we should eliminate. Reality says that it is the “carbons” that can influence our weather not the end result which is Global Warming. To prove this only one need to know that the earth heated up many times before in prehistoric times and had melted the Northern ice cap. Still, the Earth created a cycle of its own and refroze the Northern ice caps. You would think it was doomsday by the way the media portrays Global Warming and not Carbon emissions. Next: Climate Change…the new thing on the “media kick”. Climate Change from sunny weather to snowy weather is climate change, but it is not bad. The problem is the Carbons in the atmosphere are making the weather more severe. They should be calling the problem “Carbon Change”. After all it is all about the Carbon emissions which is driving the increase. As for Nuclear power…it is clean, our high world population needs power, but we can’t guarantee a good day everyday forever. We must keep moving our technology levels forward in hopes other “cheap” and more safe methods become available. I was with you until the global warming and media. I don’t think the media is to blame on this one. And If I take the science and scientists seriously, and I do, then I have to believe that catastrophe is real possibility. It is an issue I have followed for years, reading articles in Science and Nature and books as well. Since it is a highly complex issue I don’t imagine that I am able on my lonesome to dope it all out, it is beyond me. Having one’s own personal global warning theory is like having one’s own personal unified field theory. But with the vast majority of scientist falling into the human caused potential disaster camp in order to negate the possibility that the scientific majority is approximately correct one either has to believe that the scientific community as a whole is really pretty stupid and overlooks obvious flaws in their reasoning or just ignore inconvenient data as a group, or that there is a mass conspiracy. I don’t believe either. Science is really pretty impressive and just because there is a modified opinion on climate does not mean that science is incompetent, and just the reverse, growth and muturation of the climate work show that science is doing its job. I don’t like believing in this actually and anyone who could talk me out of my opnion that this is a deadly serious issue would be doing me a favor. We are told that humans would need to cut our GHG emissions in half to return to the level where natural processes can handle our excess. I’ve done my analysis and I say that that is not going to happen, we are not slowing our emissions despite the efforts of some, they continue to grow exponentially. Unfortunately environmentalists are very poorly analytical when it comes to calculating the extent that we could cut these emissions. The idea of calling the problem carbon change is not without merit, no matter which camp you are in. I don’t believe in the Global Warming is the issue, but it is that the scientists are showing an increase in Carbon Emissions. To think that a growing population of cars and people on the planet and destroying trees, plus emitting growing factory pollutants at the same time doesn’t increase Carbon in the atmosphere would be foolish. The Carbons have to go somewhere and it isn’t in liquid form. To say that the Climate Change isn’t supposed to happen would be foolish. Since the beginning of the planet Climates have changed on all places on Earth at random. Yet, the Climate Justice Initiative says that we shouldn’t have Climate Change. Plus, that it is all human designed “by race–over class”. Thus, disregarding natural processes and blaming someone or something. Are humans a part of the Earth…Yes….Should they be allowed to live their own way as designed by their creator/s….of course. The conclusion is that our ability to think is a given right to decide when we are destroying things or not upon ourselves. So where does nature give us authority to control nature ? 100%? It doesn’t! Yet, man in many ways wishes to control the natural world we live in as if it doesn’t have the right to operate in a “free” way. To say that the sea levels are rising because a race put them their is silly. A particular race can move to the mountains or anywhere else. Yet, blame the other race, industry, money (wealthy) and the one that can’t defend itself….the air. Using scare tactics about the air and use advertisements and the media you can effect the other three which are human devices. You put in politicians and you have a foundation of fear among the public. Scientists are showing an increase in carbons. But is only .039% of the atmosphere. Methane on the other hand is the major global warming gas that many scientists seem to be watching from what I have researched as it is Methane with a 25 times more impact on temperature than Carbon Dioxide. Yet, some blame the gas that we breathe out…Carbon Dioxide. The gas that everyone emits living and that some want to tax us for breathing. Sounds like someone trying to control somethings and some people to me. I like my gas stove. It emits Carbon Dioxide by burning Methane. Landfills burn methane, Coal plants burn Methane from Coal. So everything is turning to Carbon Dioxide. Yet, it is 25 times less powerful to temperature than Methane itself. Growing demand must be for Methane….so Methane is the true global/climate culprit. Can humans live without it. Maybe in the future, but our technology begs for more time to use fossil fuels till we transition. Can we cut emissions as the climate change/global warming activists/politicians ask. No! Because human’s don’t want to stop moving forward. You can’t stop a growing population from accepting what has already been accepted. Once something is given to the public…it isn’t easy to take back. This is where politicians and activists use fear in order to intimidate the emotional and the naive classes of the population. Sad thing is that this tactic is used on many issues. Some of it may be true or “half-truths”. It creates a media frenzy which in turn creates chaos and confuses those people who have some intelligence on the issue and makes them look ignorant or not caring. By then it circulates all around and no one knows who or what caused the problem because everyone is confused. By then politicians can make laws if we let them….to control us (100%) and nature (but not 100%). What I do know is many people are becoming rich off of this thesis of Global Warming/Climate Change in the political/activist role and many are the same people who at some point say that Capitalism is bad, but money is good. The two go together. I tink we gonna disagree on this one. In the natural world and for example the financial world there are such things as “big little numbers.” Let the H+ concentration in your blood change by a small amount in the acid or base direction and you are dead, even thought the pH change was pretty small. In the world of economics, let the GDP decline by a small amount, 2-3 percent and its a disaster, and god forbid it should grow by 5% instead of 3%, another disaster. Yes, the CO2 level is low, and to folks not in science I suppose it sounds far fetched that a small increase is really that destructive. As well, the increase of a few degrees (C) sounds pretty mild as well too. All I can really say to this is that scientists are neither really stupid nor are we part off a giant conspiracy. I’d get more worked up about this argument if I thought that there was a realistic solution to our level of human GG emissions. I envy those who don’t believe in climate change or understand it, its gotta be more pleasant to not worry about this. Alas, I do believe that it is likely that the vast majority of climate scientists who warn of the climate outcome from the rising GG level due to human GG emissions are closer to the truth than the minority who say its nothing to be concerned about. Climate scientists are not simply worrying about a pimple or trying to get rich. I don’t mean to be rude, but I will defend the basic integrity of science and I can say I don’t know of many rich scientists, although I do hear that the one’s that work for Exxon or the like and who publish their ideas in newspaper advertisements rather than Science or Nature do much better than those in academia. Accidents WILL happen…again and again and again. Your statement makes NO sense. Akira’s full video used to be available on the internet. It no longer is, because of this dialog in the movie. “The clouds…the red one. It’s Plutonium 239. 1/10,000,000th of a gram causes cancer. The yellow one is Strontium 90. It gets inside you…and causes leukemia. The purple one is Cesuim 137. It affects reproduction. It causes mutations.